Matthew Dear is playing in Chicago tonight so there's already a Ghostly air around Chicago. To promote the show, I did a review of Dear's record Black City for Time Out Chicago (It'll be up here in the days to come). In the review I said that one of the great things about Matt Dear's production work is that it doesn't come across as overly "tracky" or even very genre specific, as much techno can be. Some producers stick to carefully defined parameters for their chosen field of study within the electronic music lexicon and the results are stunning. But Dear goes beyond this. He isn't making techno per se, he's just making music. Keeping with the theme (and because the label sent me mp3s) I wanted to draw attention to Gold Panda's new album as well. Lucky Shiner is an exercise in this same ideal, it's just coming from a very different place. Dear grew up near Motor City and is now residing in Gotham City. That edgy grit has oozed itself into the core of Black City. 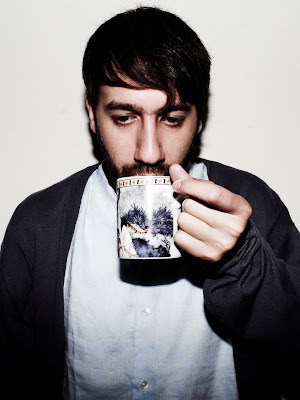 Gold Panda's debut comes from two weeks spent in relative isolation in the British countryside, the only time not spent making the music spent walking the dog. Here it straight from Ghostly's latest star. "I'd walk Daisy in the morning and then make tunes till she pestered me to take here out again. I'd bounce down what I'd done, stick my headphones on and walk her, get ideas and repeat the process." Sounds like he channelled a little modern day Walden into his working process. It also might have something to do with the years he spent on Asian studies. There's certainly a peacefulness throughout the record (there're a few indigenous sounds that sneak out here and there as well). And like his labelmate Dear, it doesn't adhere to any one type of electronica. There's post-rock akin to Four Tet or Caribou ("Before We Talked"); there are glitch-hop and left coast bangers like those of FlyLo and his brethren ("You"); and, as the label points out, even a shoegazey click & pop best compared to M83 ("Snow & Taxis"). It's original, sprawling and quickly becoming the soundtrack to fall.